I am the CEO and founder of Latreuo Media Group. I create educational materials to assist entrepreneurs who are just starting out with emphasis on helping them to enhance their online presence in the areas of social media; web design and online marketing. The tag line says it best “This is the Podcast and Blog Designed with the Beginner in Mind”. I try to H.E.L.P. new and entrepreneurs by giving them Words of Hope; Words to Enlighten; Words to inspire them to Launch and Words to Persevere. To find out more listen to the inaugural podcast and session #31;s update. In my blogs and podcast I aim is to teach; motivate and inspire others. In addition to my solo podcast sessions; I will also be featuring and interviewing expert guest who will lend their expertise covering all of the categories listed below. • Art and Music-Artist and Musician development. • Written and Spoken-Writers and Public Speakers development. 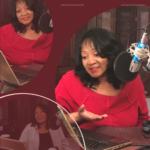 • Entrepreneurial, New and Trending– Feature Guest who discuss their business and how to be successful in the same profession.